What kind of services to EV's require? What is the difference between a conventional hybrid, a plug-in hybrid, and a battery electric vehicle? 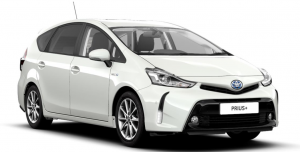 Conventional hybrid , such as the Toyota Prius, is primarily a gas-powered car that uses electric motors to help out the internal combustion engine. 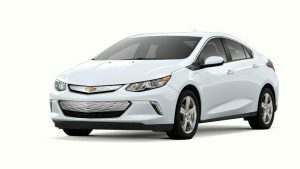 Plug-in hybrid (PHEV), such as the Chevrolet Volt, has a battery-powered electric motor that can function independently with enough range for a daily commute. It also has a conventional gas engine to extend the vehicle’s range. 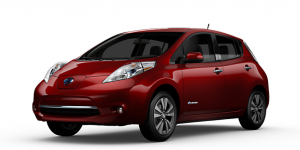 Battery electric vehicle (BEV), such as the Nissan Leaf, is powered solely by a battery and electric motor. How far will an EV go on a charge? Plug-in hybrid (PHEV’s) like the Toyota Prius Prime, Chevy Volt, and KIA Niro can generally travel 20-50 miles on one charge. With combined gas and electric the ranges of PHEVS are 460-590 miles. Battery electric vehicle (BEV’s) like the Chevy Bolt, Nissan Leaf, and Honda Clarity can generally travel 80-240 miles on one charge. What if I need to travel further? B) Power up at a Level 3 DC fast charger (coming soon to 3+ locations in Humboldt County) to replenish range up to 70-80% in 30-60 minutes. RCEA’s network of charging stations cost $0.48 per charging session + $0.18 per kWh. How long do EV batteries last? Do they have warranties? The common answer for battery replacement time is about 10 years. Battery replacement cost will depend on the size of the battery- about $6,000 at the low end. Nissan and Chevrolet offer an 8-year/100,000 mile warranty on their battery packs; Hyundai offers it for life. There will be some battery degradation over time; warranty does not cover that . How do you find EV charging stations? There are a number of free public charging apps available that could help you find an EV Station. The federal government offers a tax credit for plug-in electric vehicles of up to $7500, based on the capacity of the vehicles battery. PG&E offers a $800 rebate for PHEV or BEV buyers. RCEA is currently developing an EV rebate for CCA customers that is projected to go live in 2018 -2019. What happens when your EV runs out of battery “juice"? In some markets, AAA offers a mobile charging service from their trucks. In all other markets, you’ll need a tow or a push. Ev’s need to be towed by a flat-bed tow truck. How much does it cost to install a home charger? If you want to charge an EV at home, you can actually do it without installing a home charger. Most EV’s come with an adapter that allows you to plug into any 110V outlet. It takes about 20 hours to go from completely empty to full using a 110V outlet, but if you are charging every night and have a relatively short commute this time decreases drastically. 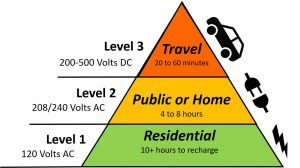 If you have an older home, say older then 1970, you will likely want an electrician to visit your house to verify you have the capacity to charge an EV. To hire an electrician for the installation, you should expect to pay anywhere from $65-$85 and hour, for about $500 total. While you might be tempted to do this yourself, hiring a professional is the safest way to go. There are a wide array of EV charging station options available, but expect to pay between $600-$700. If you want a charger with higher power or longer cables expect to pay at the higher end of the range. This brings the estimated total to $1200 to install a L2 charger at home. When can I purchase an EV with more cargo space? Now! EV models on the market today have cargo space that is comparable with others in their class. There’s even a hybrid mini-van! View a list here of your EV options. Unlike conventional cars, in fully electric vehicles there are no oil changes, spark plugs, timing belts, fuel filters, head gaskets, radiators or fuel lines. The main wear items will be tires, brakes, windshield wipers, and the occasional cabin air filter- all relatively cheap in comparison! The federal tax credit decreases your tax liability by up to $7,500, depending on the vehicle purchased ( vehicles with larger batteries get a larger rebate.) It’s important to note that you’ll need a liability larger that $7,500 to take advantage of the full credit, any unused credit simply goes away. For more information, please visit irs.gov and search “IRC 30D” or speak to your tax advisor. 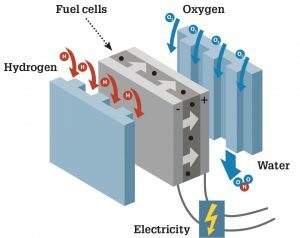 What is a fuel cell electric vehicle ( FCEV) ? An FCEV uses compressed hydrogen gas as its fuel, which is then fed into a fuel cell in the car to combine with oxygen to form water. This process generates electricity, which is harnessed to run a motor, and water vapor, which is the only emission from an FCEV. What are the advantages of FCEVs? The state of California classifies FCEVs as “zero emission vehicles”. FCEVs are quiet and fuel efficient, just like EVs, however, they have much longer ranges (up to 360 miles!) and take only 3-5 minutes to refuel. What FCEV models are available ? Toyota, Honda, and Hyundai all make fuel cell model passenger cars that are commercially available. Where can I buy an FCEV? You can only buy FCEVs in areas with hydrogen fueling stations. Currently, most fueling stations are in Los Angeles and the Bay Area. Fueling stations are coming soon to the New York City, Connecticut, and Boston areas as well. Will there be hydrogen fueling stations in our region any time soon? We hope so! RCEA is currently working on a grant from the California Energy Commission to identify sites for hydrogen fueling stations along the Interstate 5 corridor. Redding and Eureka have been identified as priority sites for near-term station development. There are a couple of ways. The first is through a process called electrolysis. This involves running an electric current through water to separate it into its components, hydrogen and oxygen. Clean power, such as solar energy, is frequently used to run this process. The other is called steam-methane reformation, which reacts steam with natural gas and a catalyst to make hydrogen. 33 percent of hydrogen used in CA is legally required to be produced from renewable resources. 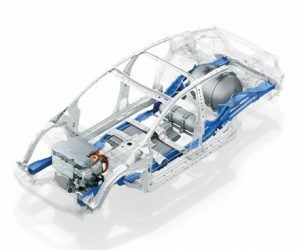 How can I learn more about FCEVs and hydrogen? There are lots of resources about hydrogen and FCEVs online, and a great place to start is with the statewide experts in FCEVs, the California Fuel Cell Partnership. When hydrogen is produced via stream methane formation, what happens to the by products ? 33% of hydrogen in California must be produced via renewable energy, but steam methane reformation is another common production method. Hydrogen is the obvious product we harness for FCEVs. The carbon monoxide is typically burned to extract extra energy, and produces carbon dioxide upon combustion. There are innovative carbon monoxide clean-up systems used in some factories which produce hydrogen, but generally speaking, the CO ends up as CO2.